TENAX Nordic Plus II Snow Fence is the heaviest snow fence available by TENAX for use as a safety fence to block both wind and snow. This 4' x 100' TENAX snow fence is made from a durable polyethylene material with 3.5" horizontal oval openings. 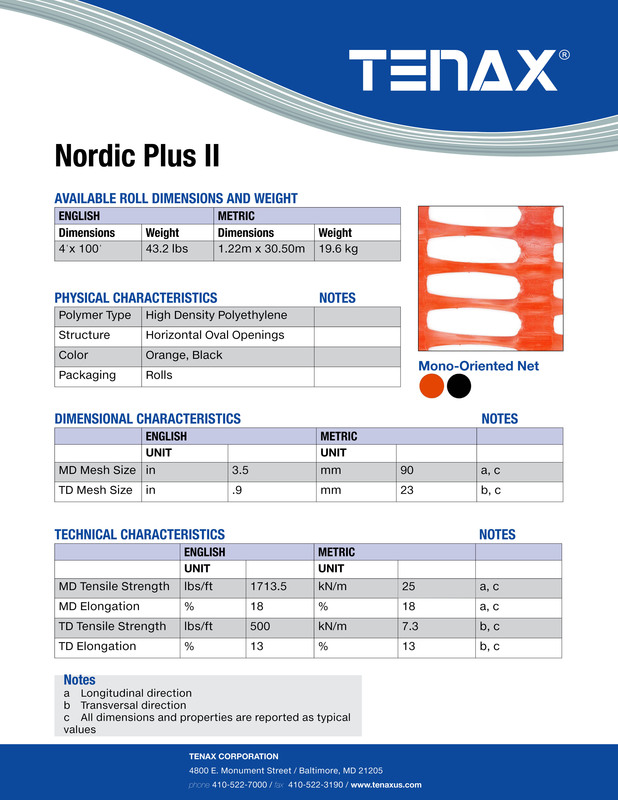 This TENAX 4' tall Nordic II Snow Fence in orange has a tensile strength 500 lbs/ft and weighs in at 43 lbs per roll. This is a great fence choice for residential homes that see large snow falls and for commercial applications including industrial buildings, transportation areas and at airports.